Under federal law, certain employees are owed overtime compensation when they work more than 40 hours in a week. Unfortunately, employers often fail to pay overtime compensation to employees who are entitled to it. The Phoenix employment law attorneys at Phillips Dayes Law Firm PC pursue class actions on behalf of employees who were not paid overtime after working more than 40 hours. Our trusted attorneys have detailed knowledge of federal overtime laws, including the types of employees who are exempt and non-exempt and forms of compensation available. Contact our firm today to discuss your claim and determine if you have grounds for a lawsuit because you were not paid for overtime or were not paid at the correct rate. Your consultation is completely free and there is no obligation to pursue a case. Our services are provided on contingency, so there are no upfront costs or fees unless you receive compensation. You have a limited amount of time to pursue compensation, so it is crucial to contact us as soon as possible. This allows us time to determine if you have basis for a lawsuit and to begin building a strong case. Fill out a Free Case Evaluation form today or call us at 1-800-706-3000. If one employee is denied overtime compensation, others at the company might have been denied as well. It is rare that just a single employee is denied overtime pay he or she is entitled to under the law. Employees who were denied overtime have the option of grouping their claims into a single class action lawsuit. If the lawsuit is successful, each employee will be paid a certain amount of compensation based on the harm he or she suffered. This allows many employees to obtain the fair compensation they deserve without each one having to go through the legal process individually. Our Phoenix employment law attorneys can help determine if you have grounds for a class action lawsuit. This includes determining if you and your fellow employees are similarly situated and can be considered a class under the law. We can also handle the entire investigation of the case and represent you in the courtroom. We will explain what to expect and answer any questions you might have. Our attorneys have detailed knowledge of these criteria and how to prove a class should be certified and a case should be allowed to move forward. We are prepared to manage every aspect of the legal process on your behalf. Contact our Phoenix employment law attorneys today for a free legal consultation. Federal overtime pay regulations are set by the federal Fair Labor Standards Act (FLSA), which is enforced by the Wage and Hour Division (WHD) of the U.S. Department of Labor (DOL). These laws apply to employees who engage in interstate commerce, produce goods for this purpose, or handle, sell or work on goods or materials that have been moved in or produced for the purpose of interstate commerce. Most firms must have $500,000 in annual dollar volume of business to be covered by the law. However, firms that do not meet this threshold may still be covered by the law, if the employees are individually engaged in interstate commerce, producing goods for interstate commerce or an activity that is closely related or directly essential to producing these types of goods. Under the FLSA, employers must provide compensation for overtime for all nonexempt employees who are subject to the rules and regulations of FLSA, which includes those who are paid on an hourly basis. Your workweek can start on any day or hour, provided there is a schedule of seven consecutive 24-hour periods. This prevents employers from simply averaging the number of hours worked over two or more weeks to avoid providing overtime compensation. For example, if you worked more than 40 hours one week and 40 hours the next week, your average number of hours would likely be 40. Under FLSA regulations, it is illegal to average out hours this way to deny overtime pay. The FLSA does not require overtime pay for work that is done on Saturdays, Sundays, holidays or regular days of rest, unless the employee is working more than 40 hours. Overtime pay must equal one and one-half times the employee’s rate of regular pay for all hours worked over 40 in one workweek. In other words, if you are earning $18 per hour, you must receive $27 per hour for all overtime hours worked. Usually overtime pay is paid out on the regular date of pay for the pay period when wages were earned. If you were denied overtime compensation or were not paid at the correct rate for your overtime hours, the Phoenix employment law attorneys at our firm may be able to assist you. Contact us for a free, no obligation legal consultation. The FLSA also exempts certain categories of employees, if the employee in question fits all of the criteria for the exemption. Individuals who earn at least $455 per week and whose primary duties require invention, imagination, originality and talent are exempt from overtime requirements. Employees who are paid at least $100,000 and perform office or non-manual work are also exempt from overtime laws. The Phillips Dayes Law Firm PC’s Phoenix employment law attorneys are dedicated to ensuring that Arizona workers are fully compensated for the overtime they provide to their employers. By providing personalized attention to each claim, we take the time to get to know our clients in an effort to best meet their needs. Our employment law attorneys in Phoenix are dedicated to seeking justice and protecting the rights of workers in Arizona. Call or text 1-800-706-3000 if you have any concerns about the compensation you are owed. Many employees believe they are exempt from overtime requirements because their employer classified them as exempt. However, there are often situations when workers are misclassified as exempt even though they are entitled to overtime. Arizona Revised Statutes 23-1601 requires employers to sign a declaration of independent business status when they want to use an independent contractor. This creates the presumption of an appropriate independent contractor relationship between the employer and contractor. The contractor must acknowledge that he or she is not an employee and the services provided do not create a right to unemployment benefits or any other right that comes from an employment relationship. Your employer may have told you that you are exempt from overtime because you are paid on salary instead of being paid by the hour. However, being paid on salary does not automatically make you exempt from overtime. The key factor is the nature of the work you do and whether it fits one of the exemptions allowed under federal law. It can be difficult to determine if you have been misclassified. This is one of the advantages of working with a trusted Phoenix employment law attorney on your case. The attorneys at Phillips Dayes Law Firm PC have in-depth knowledge and understanding of overtime laws and how to pursue the fair compensation you deserve. If you were illegally denied overtime pay, you should strongly consider pursuing a claim to recover the unpaid wages, otherwise known as back pay. You work hard and should be paid what you are entitled under the law. However, an employment law attorney in Phoenix may be able to recover other forms of compensation, including liquidated damages. When you file an FLSA lawsuit, you can pursue liquidated damages in the amount of unpaid wages. So, if you were denied $1,000 in compensation, you may be entitled to an additional $1,000 in liquidated damages. You may also be entitled to compensation to cover attorney's fees and court costs from pursuing a lawsuit. However, there is a limited amount of time to pursue compensation for unpaid wages. 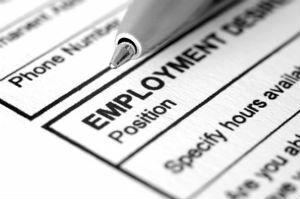 Generally, you must file a claim within two years of the date you were unlawfully denied wages. If you can prove the violations of FLSA laws was willful, you have three years from the date of the violation to pursue a case. Our Phoenix employment law attorneys can help ensure your claim is filed before time runs out, and we are committed to pursuing all the compensation you are owed, including injunctive relief against your employer. This could include a change in company policy to prevent other workers from being unlawfully denied overtime compensation. Our attorneys have helped many employees recover the overtime compensation they are owed by their employers. We know how hard you work and are committed to pursuing the wages and other compensation you deserve. Our attorneys can guide you through the entire legal process, explaining your rights, the value of your claim and what you can expect. Your consultation with our attorneys is completely free and comes with no obligation to pursue a case. You will not be charged for our services unless you are fairly compensated for the damages you have suffered. Fill out a Free Case Evaluation form or call us at 1-800-706-3000. Phillips Law Group provides an excellent service. Their team is very supportive, knowledgeable, and incredibly capable. Timothy Tonkin and Tracy Laskos were my points of contact and they left me feeling a sense of complete confidence in their abilities. The outcome of my case was exceptional and the results were greater then originally expected.